President Trump asked Saudi Arabia to take its massive state-run Aramco oil company to the New York Stock Exchange if it goes public in 2018. "Would very much appreciate Saudi Arabia doing their IPO of Aramco with the New York Stock Exchange. Important to the United States!" Trump tweeted Saturday morning. The Saudi government wants to sell a portion of the company as part of that country's ongoing efforts to overhaul its economy and reduce its dependence on oil. Saudi officials expect an IPO to value Aramco at around $2 trillion. If the market agrees -- and not all analysts do -- selling just 5% would raise $100 billion, making it by far the largest IPO in history, four times as much as Alibaba's IPO in 2014. It's not clear how Saudi officials are planning to execute the sale. 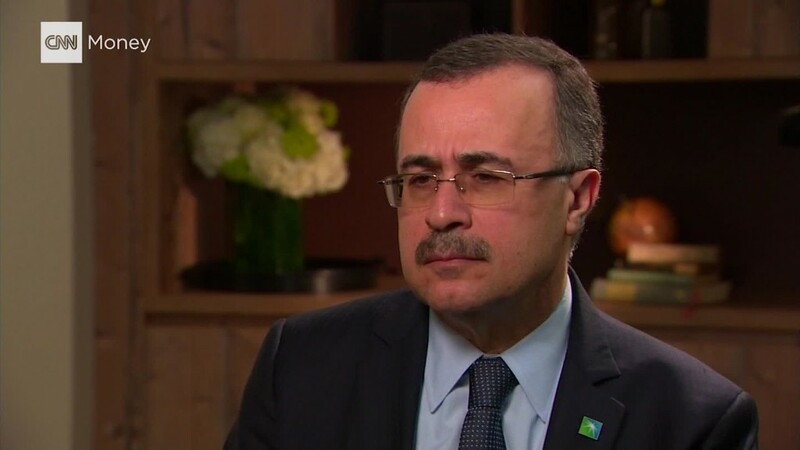 When asked recently about the details of the IPO, Aramco CEO Amin Nasser told CNNMoney that no firm decisions have been made. The Financial Times has reported that officials are mulling a private sale. That would allow it to avoid a hodgepodge of rules, regulations and transparency requirements that go along with listing on an international stock exchange. Trump's tweet comes just a week after more than 3,500 business leaders and government officials met in Saudi Arabia for a conference dubbed "Davos in the Desert." Among the attendees was a cohort of Aramco officials and government advisers from Wall Street. Ken Moelis, a U.S. investment banker and former banker for Trump, attended the meeting. He holds an advisory role to Aramco. Trump made his plea from Hawaii, from where he'll embark on a 12-day diplomacy tour across five Asian countries. His travel companions include prominent U.S. businessmen like Goldman Sachs (GS) CEO Lloyd Blankfein. CNN's John Defterios and Zahraa Alkhalisi and Matt Egan contributed to this report.